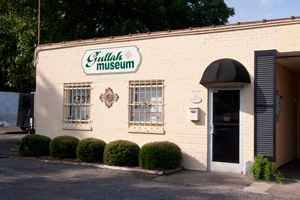 Local museum depicting history of the 3rd oldest town in South Carolina. Muskets, marsh and muslin…rice, rivers and revolution. 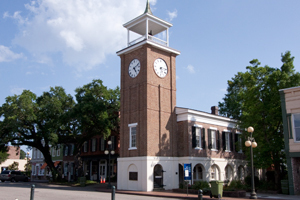 The Georgetown County Museum offers a glimpse into the fascinating connections that intertwine these and many other facets of life that span 300 years of American history lived out in the daily lives of the citizens of Georgetown County. Learn about the role the Gullah/Geechee People played in the introduction and development of the cattle, indigo, and rice culture, as well as their role in the introduction of public education in South Carolina. The Kaminski House was built about 1769, and contains an outstanding collection of American and English antiques, from the 18th and 19th centuries. The grounds are available for special events and weddings. Through dioramas, maps, artifacts and other exhibits, visitors to the Museum are enlightened to the history of a society dependent on the rice crop. Home to the prized Fresnel lens of the old North Island lighthouse, our mission is to create enjoyable experiences for both young people and adults by featuring exhibits, programs and events related to South Carolina's rich and remarkable maritime history.